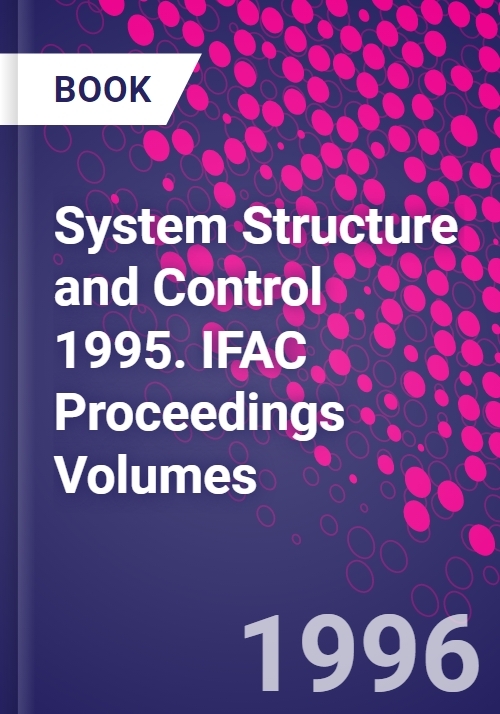 These proceedings contain the 100 papers presented at the 3rd IFAC Conference on System Structure and Control held in Nantes, France, 5-7 July 1995. The conference provided an ideal forum for automatic control researchers from around the world to present their results and exchange both ideas and experience. The aim of the conference was to report recent research on various aspects of system analysis and applications, to identify future trends in this area and to promote applications of the structural approach of control theory. Selected chapter headings: Various Engineering Aspects of Implicit Differential Equations. Structured Systems. Nonlinear Systems I. Time-Delay Systems I. Singular Systems. Control of Robots and Manipulators. Robust Control. Multidimensional Systems. Structural Properties of Linear Systems.